Chinese have become avid international travelers, but they develop into a very different breed than other tourists. Shaun Rein explains in his today released book The End of Copycat China: The Rise of Creativity, Innovation, and Individualism in Asia, how different China tourists are, and what they mean for the industry. How rich is China? Many number crunchers have discussing that issue over the past few weeks. But the assumption China is a poor country, displayed in a blogpost at the Guardian, is certainly not true, writes an angry China veteran Mario Cavolo on his website. 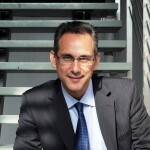 Mario Cavolo, Vice President of Scott PR China, has this week joined the China Speakers Bureau. Mario’s ground-shifting book on over 10 trillion US dollars worth of savings among China’s rising middle class is going to change our view on the country’s macro economics, and how it works out on an individual level. More than 1 trillion US dollars in sales for 1-2 million extra babies per year after China has relaxed its one-child policy, expect the industry, learns WSJ wealth editor Wei Gu from financial analyst Shao Yu. Not only baby food, but bigger houses and cars are needed. If those babies come. Most wealthy Chinese have already bought themselves a foreign passport and properties, but now the higher middle-class is moving part of their assets abroad, tells WSJ wealth editor Wei Gu. And although Chinese restricts exporting capital abroad, Chinese find enough loopholes. Incoming president Xi Jinping tried to define his Chinese dream, and got – rather uncensored – he did not gather a lot of support among China’s internet users. Helen Wang, author of The Chinese Dream summarizes the Chinese efforts to define their dream in Forbes. 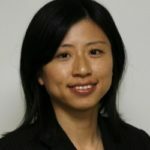 The American middle class might be licking its wounds and wonder what it means to have been middle class, in China their numbers keeps on growing and is, according to the latest figures by author Helen Wang, close to half a billion, she writes in Forbes.